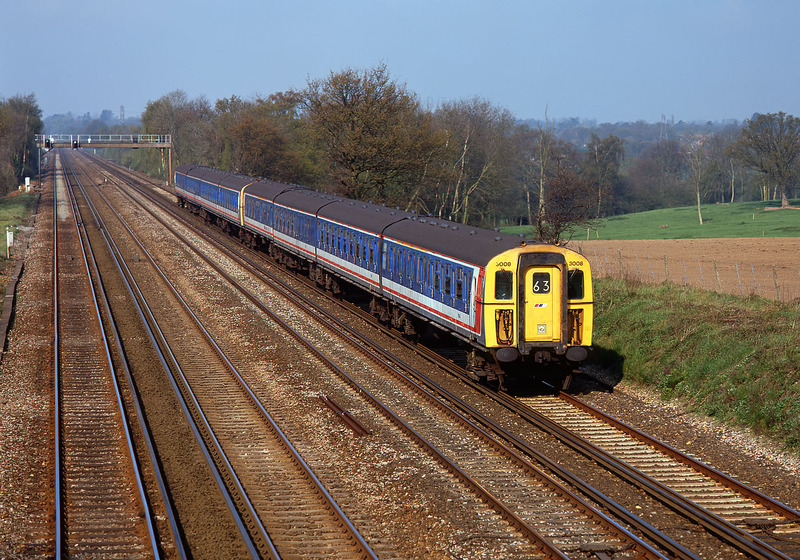 Class 423 4-VEP 3008 leads the 08:59 Basingstoke to Waterloo Network SouthEast service past Potbridge on 28 April 1991. At least on the Southern Region at this time it was easy to tell what any particular train was, due to their continued use of headcodes. This batch of 4-VEPs were originally numbered in the 77xx series, but were later re-numbered into the 30xx series.